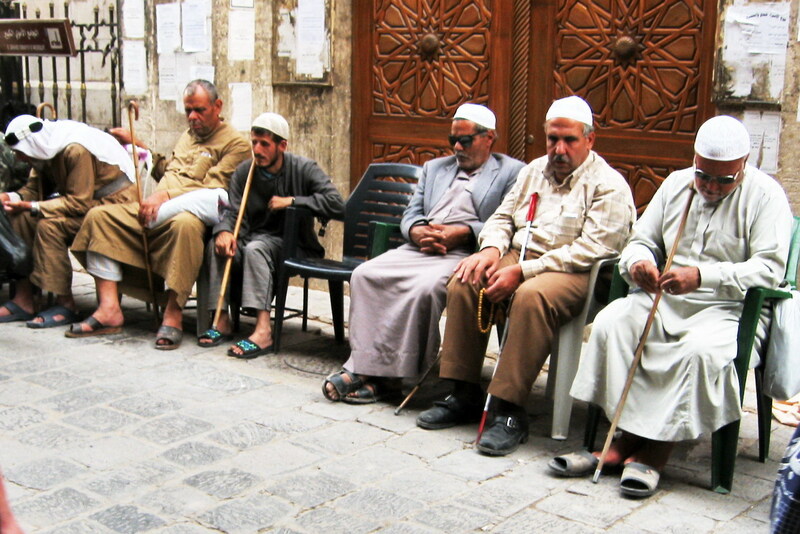 sitting outside a mosque in Damascus are Muslim Sheikhs, who are believed by Muslims to have the power to heal and grant children to barren mothers, a Christian-like power which only Jesus talked about. Damascus old city is famous for the Ummayad mosque, which holds the head of St-John the Baptist, also considered a saint in Islam. Its a mosque with a Christian shrine inside. AND, in the city of Damascus, you will find the chapel where Saint PAUL was struck blind and regained his sight. And look at the symbol at the back. Do you see a CROSS behind the STAR? What a strange mix of Christianity and Islam.